A bathroom scale is a handy accessory to have in the house for people to monitor their weight. Almost every household has one but as we’ve learned in recent years, just your weight in pounds doesn’t give you an accurate picture of your health since there are other important factors- especially body fat %. 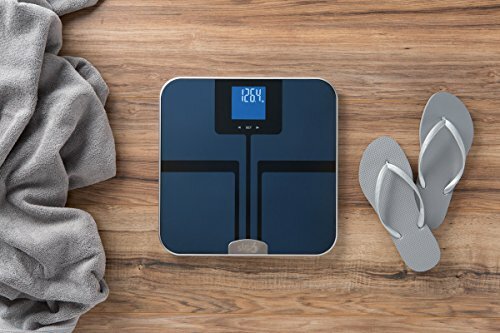 After researching the options on the market that could accurately track weight and fat percentage, we chose the Bluetooth Smart Body Fat Scale by Weight Gurus as our top pick in 2019 for best bathroom scales for accuracy. While you can try to figure out your body fat % using a good quality scale in combination with fat calipers or other accessories, I’ve found those are more complicated and not very accurate since the human error can make a huge difference – just pinching a little more or less skin can throw the percentage way off. I finally tossed the fat calipers and the tape measure away and bought a new digital scale that was specially designed to accuracy. I wanted to be able to just step on the scale and know my weight but also my body fat percentage and if I was gaining muscle. I also wanted to be able to sync it to my Android phone so I could easily track my progress. Read below to see other top picks and reviews. Whether you are trying to maintain your weight or are trying to lose body fat/gain lean muscle mass you’ll know that just the simple number of pounds on the dial doesn’t necessarily tell the whole story. Since muscle weighs more than fat, as you get in shape and gain lean muscle mass, your overall weight may stay the same (or even increase – because your body fat percentage is going down and you are added muscle). To accurately monitor your progress you really need to know more than just your weight in pounds or kilos. The good news is that some newer digital scales offer a wide range of features that can make the process a lot easier – and give you detailed information about your body composition including Body Mass Index, body fat percentage and even bone mass %. Factors to consider when buying an accurate scale. A scale with a smaller least count is more accurate. A scale with a least count of 0.2 lbs, or less is desirable. The term is not always used…often times it’s just referred to as the graduation increments of the scale (in tenths of a pound or in some cases ounces). There are two categories of bathroom scales, analog, and digital. 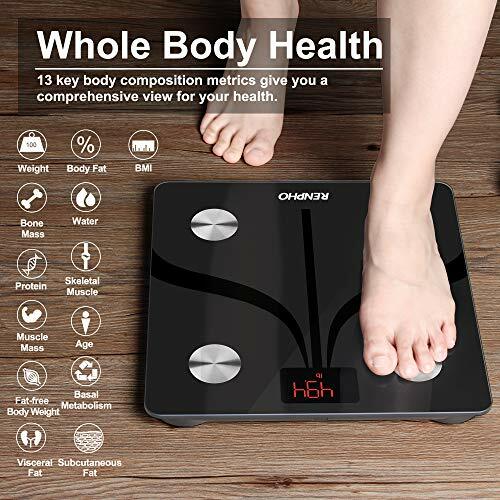 While analog is the non-electronic variety of scale with limited functions, digital scales are electronically-enabled and can perform a variety of different tasks apart from merely measuring body weight. 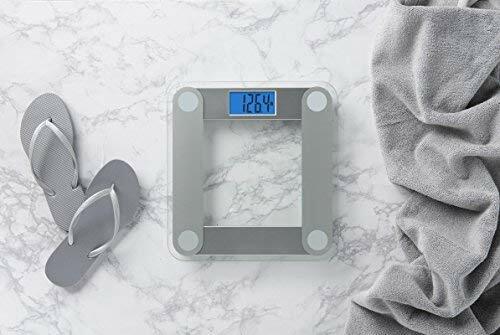 If you just want to weigh yourself and nothing else, an analog scale will be sufficient, but if you are looking for some more added features, you can get some very funky but reasonably-priced digital scales. Some people still claim that a three-beam balance scale (the kind they still use in most doctors offices with the sliding weight) is more accurate than digital. Consider what memory features the scale has – today you can find scales that measure Body Mass Index (BMI) body fat, lean mass, and even water weight and bone mass. Ensure that the display is large enough to be legible so that you can read it from a standing position. Look for unique features that a digital scale has to offer. There’s a lot of research going on, so get the benefit of what technology has to offer like syncing to your mobile device and tracking your historic weight over time. Depending on your priorities and personal taste this may or may not be as important, but many like a bathroom scale that’s smart-looking or at least fits in nicely with their bathroom décor. Typically, the maximum capacity of bathroom scales ranges from 300 lbs to 550 lbs. You will need to ensure that your scales have sufficient capacity for the people in the house using it. Persons heavier than 400 pounds may want to look for specially made bariatric scales that are more accurate for weights above that. Another cool feature of this digital scale is that it has an extra-large display with a blue backlight. No more squinting down to see the reading in dim lighting or having to ask someone else to tell you how much you weigh! One of the winning features of this product is the prompt and efficient customer service. The company is a family-owned business and attaches a lot of importance to prompt customer service, which has suitably impressed several customers. Conversion to different unit systems like from lbs to stone can be done quickly by pressing a button. See most recent verified reviews on Amazon of this scale. The EatSmart Precision Getfit Digital Body Fat Scale may be a good choice for you if you are ready to spend a bit more. This digital scale, unlike an analog scale, not only measures weight, but also body mass index (BMI), bone mass, percentage body fat, percentage body water and percentage muscle mass and bone mass. This particular model has a great memory with the capacity to store the profiles of up to eight people. The auto-memory eliminates the requirement of feeding in any information while taking your weight – you just stand on the scale, and it detects your data. The scale runs on regular AAA batteries and has an attractive, easy-to-read digital display. All the calculations for body mass index (BMI), bone mass and so on, are programmed according to FDA guidelines. 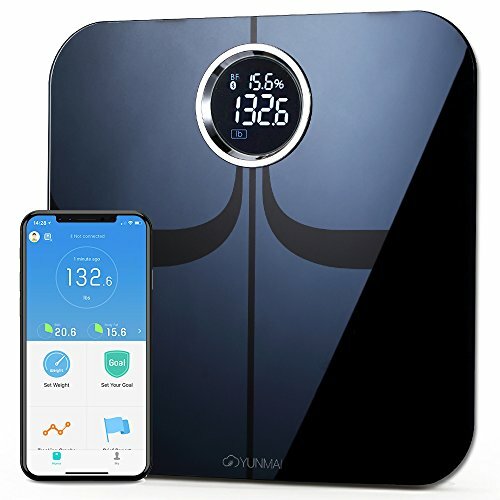 The Bluetooth Smart Body Fat Scale by Weight Gurus measures body mass index (BMI), body fat, lean mass, and even body water weight and bone mass. You can synchronize all parameters with the free app “Weight Gurus” which you can download for free onto your smartphone. You do not need to share these results with anyone else who uses the scale. The sleek profile of the scale is a slim one inch high. The Weight Guru app is compatible with Google Fit, Apple Health, and Fitbit. 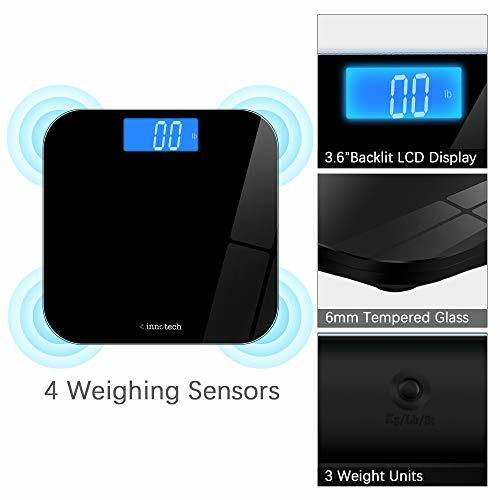 But it gets better as a percentage of the proceeds from the purchase of the EatSamrt Bluetooth Smart Body Scale goes towards a charitable organization, Love 146 which fights against child trafficking. Customers who used the scale were quite satisfied. However, some had issues with synchronizing it with their smartphones. The problem of the platform glass occasionally shattering still occurs, but the company is very prompt in replacing the units. Company partners only with companies that protect workers’ rights and safety. This RENPHO Smart Scale has the ability to measure 13 metrics – not just your weight. You can check your body fat %, water %, BMI, skeletal muscle, muscle mass, bone mass, fat-free body weight, protein, visceral fat, basal metabolic rate, subcutaneous fat, and even your body age. The scale is rechargeable, saving you money from constantly buying new batteries. Simply charge it up as you would your smartphone. The USB cable can be charged via the AC adapter, a power bank, or directly to your computer. The battery has a 200mAh capacity. It only needs 2-3 recharges a year for normal use, each charging will only take about 3-4 hours. The scale can be synced to Google Fit, Apple Health, and Fitbit. It’s very user-friendly and comes with the RENPHO App. Choose the settings on the app to sync it to Google Fit, Apple Health, or Fitbit. This makes tracking your progress easily. The YUNMAI Premium Smart Scale gives you a quick look at 10 important health metrics. Simply step on the scale and it’ll give you all the information within seconds. Find more about your health using a simple scale. Plus, your measurements are sent to your phone whenever you use the scale. If you’re on a weight loss program, you can track your progress more efficiently. You can measure your weight, muscle rate, body fat, bone mass, water, visceral fat, BMI, BMR, protein, and body age. The installed bio-impedance sensors give accurate results each time. No complicated setup is required. You don’t need to be connected to the Wi-Fi to operate the scale. All you have to do is download the scale’s app on your phone, connect it via Bluetooth, and you’re all set. This scale uses bioelectrical impedance analysis (BIA). Be sure to get permission from your doctor before using this scale if you have a pacemaker, electrocardiographs, other medical fixtures, or are pregnant. Users under 18 years of age will only see weight measurement. The Yunmai 2.0 app gives you an integrated view of real-time stats. You can share them on social media or simply track your fitness progress. Company’s customer service is lacking if you have problems with the product. 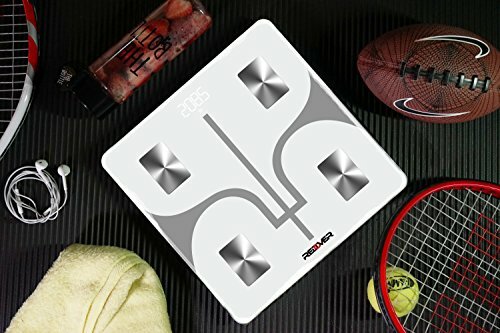 The REDOVER Bluetooth Body Fat Scale is able to measure 13 different health metrics. You can track your weight, BMI, BMR, metabolic age, body fat, skeletal muscle, body water, fat-free body weight, visceral fat, subcutaneous fat, muscle mass, bone mass, and protein. It can easily be connected to your phone via Bluetooth. By downloading the app using the QR code found in the instruction manual, you can sync it with Apple Health, Fitbit, and Google Fit to track your daily progress. You can make the most out of your purchase by sharing the scale. You can add an unlimited number of users on just one device. The whole family and even friends can use it and share their data to motivate each other into leading a healthier lifestyle. Simply step on the scale to see your measurements. It turns off automatically once no stepping is taking place. It calibrates automatically and reminds you when the battery is low. It uses BIA technology and four high-precision sensors to give on-point measurements. You can switch between lb and kg. The design has tempered glass and a LED display that shows bright numbers for easy reading. Enjoy a 30-day free return or exchange guarantee without any reason required. You also get a 5-year warranty and lifetime technical support from the company. The Innotech Digital Bathroom Scale is great for the whole family. It features a backlit 3.6-inch negative LCD display. It not only is easy to read, but it also looks very sleek and modern – a perfect accessory for modern bathrooms. The tempered glass is resistant to scratches, too. The scale measures 12 x 12 inches and can fit in any bathroom. It is fitted with automatic calibration. As soon as you take it out of the box, it’s ready to go. Immediate readings are available using the automatic zero-resetting feature. You are guaranteed accurate readings because of its advanced German technology. You can get correct readings for up to 400 lbs, thanks to its 4 weighing sensors. Customers get a 30-day free exchange and refund guarantee, together with a friendly customer service team on call 24/7. So, as we mentioned earlier, the clear top pick here is the Bluetooth Smart Body Fat Scale by Weight Gurus. It has all the features that we said in the requirements of a bathroom scale and more. It has the additional advantage of being able to sync it to your smartphone. 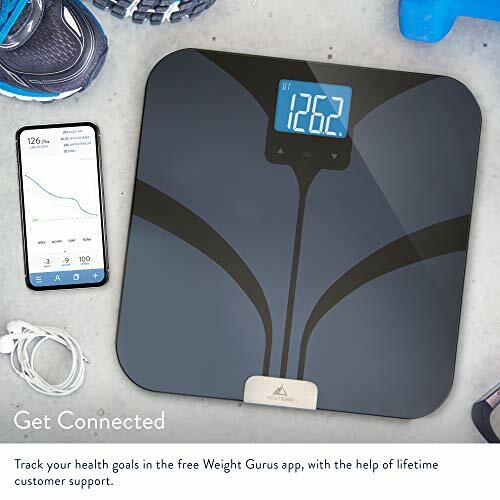 If you are looking for a reasonably-priced scale with lots of useful features, the Weight Guru Bluetooth Smart Body Fat Scale is probably the one for you. We hope you found this article useful. Please feel free to get back to us with your feedback, comments, and questions, if any and we will be glad to respond back to you.